Thanks to a generous coworker, I was able to attend the Star Wars Marathon on Thursday. This was a showing of all the films, culminating with Star Wars: The Force Awakens in 3D. I'd already purchased a ticket to Star Wars: The Force Awakens in 2D for Saturday, so I've gone to see the movie twice already. One was with a rowdy, punch-drunk crowd; the other in a fairly quiet theater that couldn't resist cheering at some of the biggest surprises or victories. I enjoyed the movie both times. 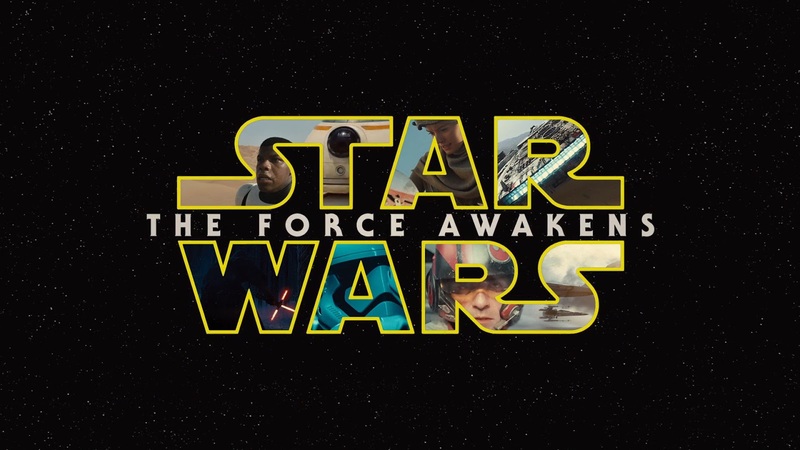 J.J. Abrams truly made this movie to cater to Star Wars fans. He succeeds - sometimes a hair too much, in my opinion. I hope the next two movies in the trilogy continue to become more of their own thing. (There is a Death Star analogue, which, c'mon, that was used twice in the Original Trilogy!) I particularly hope for this because I loved the new characters. Rey is a young scavenger and pilot who happens across a droid who needs help. Finn is a stormtrooper who realizes in his first battle that he can't work for the bad guys and has to escape. Both of them are kids who are in over their head but still stumble towards the right thing. But I don't want to give too much away. 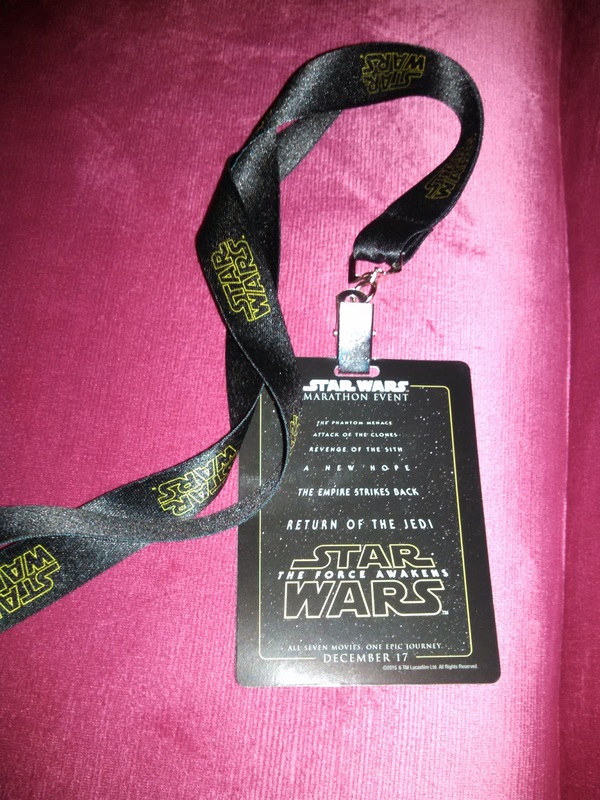 I tried to avoid as many spoilers for Star Wars: The Force Awakens as I could. (Going on opening day did help.) Instead, I'll focus on 2D vs. 3D. I'll admit, I'm biased towards 2D. I generally find it a more enjoyable movie experience, and this was no exception. The 3D was done very smoothly; it didn't bother my eyes. Mostly, it didn't make much of an impression. There were a few moments that did wow me in 3D. The opening crawl looked amazing in 3D. It would've gotten my heart pumping anyway, but it really struck me in the 3D. There's a moment where the Star Destroyer is right in the audience's face; many people in the theater I was in didn't hold back and tried to touch. There's also a moment where Rey slides down a hill that looked pretty cool. However, there was one big drawback to the 3D. The opening scene takes place at night and is full of fast-paced action. I had trouble following it as well in the 3D version. There were too many objects and too little light for me to clearly discern what was happening onscreen. The 2D version lacks those few stunning moments, but I did find it easier to follow overall during the action sequences (of which there are many). If you do want to see the 3D, seeing it in theaters might be your only chance. It's mostly a toss-up of whether you want to pay the money or not. I can't weigh in on the IMAX presentation, but I do still intend to go see Star Wars: The Force Awakens with my dad. Maybe I can convince him to go see it in IMAX. Thanks for sharing the differences. I like 3D sometimes, but I find it's not all that great so not really worth the extra money.